I have to tell ya. I get more excited about this blog everyday that I write because I can start to see all the pieces come together and that’s the origin of this new series. Find a credit card that offers points with the First Year Free like the American Express Gold or the American Express Gold Business. If you’ve followed my instructions, you would have added you card into Mint and a year later, through Mint’s email reminders, you will be notified that an annual fee has been charged to your credit card. So what do you do now? 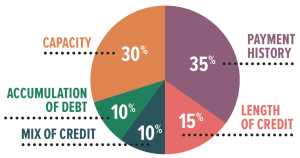 Capacity (worth 30% of your score) – this is a measure of the amount of debt vs the amount of available credit you have. Having a card that sits idle with a $0 balance means that you lower your overall capacity. For example, if you have 1 credit card with a $1,000 limit and a balance of $500, you would have used 50% of your “capacity”. Now if you had another credit card that had the same $1,000 limit sitting in your drawer with a $0 balance, now you have $500 owing on $2,000 worth of credit limit so your capacity drops to 25%. So it makes a lot of sense to have a bunch of credit extended without utilizing much of it. Length of Credit (worth 15% of your score) – this category is exactly as it sounds. The longer you have your credit lines open, the more stable you look to lenders so it make sense to keep cards open as long as possible, so long as you don’t have to pay an annual fee. In fact, if you keep these factors in mind and have a lot of credit cards, your score can actually increase. I personally have a 3 pronged approach when it comes to dealing with my annual fee and it’s a workflow that you can easily implement. The first and most obvious approach is to call the credit card issuer and ask to have the annual fee waived. It’s really as simple as that. Remember, if you don’t ask, you don’t get. When I call into the credit card company, I call and say that I am considering cancelling my credit card because of the annual fee and I’m wondering if there was anything they could do to waive my annual fee. In my experience, you may get transferred to the credit card’s Retention Department (a department specifically set up to keep customers) or the CSR will be empowered to deal with the issue. Most times, the credit card issuer will not give a waiver of the annual fee but they may offer a “rebate” to offset the cost of the annual fee. I’m not sure why they insist on calling it a rebate rather than a waiver but that has always been my experience. 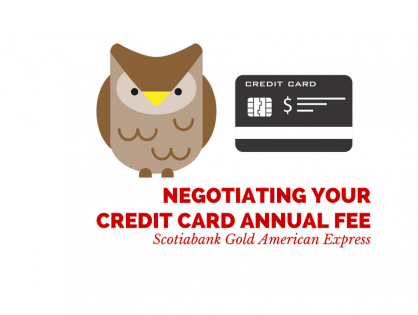 In some instances, if the annual fee is $120, they may offer you a “rebate” of $100, so you might pay a little bit of money but you also get the benefits of the card for another year. It’s up to you to determine whether the rebate is enough to entice you to stay. Some issuers will not provide any hard dollar incentives to retain you as a customer. If this is the case, ask if they can provide you with points to help soften the blow. 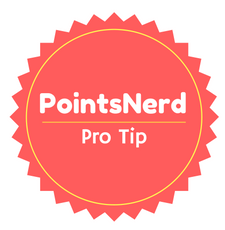 This is where it’s handy to understand CPM so you can understand the value of your points. As an example, if you value your American Express Membership Rewards at 2¢ per point and the annual fee for your American Express Gold is $150, you know that you need 7,500 points to offset the annual fee ($150 / $0.02 = 7,500). You may get lucky and they may offer even more points. I find that this is the most common way that issuers will try to retain their clients and the points they offer will be based on your spend, how long you’ve been a customer, your payment history, etc. I find as a general rule of thumb, the longer you are a client of a credit card issuer, the less lucrative the offers will be. This makes sense because if you’ve been a customer of that issuer for 5 years, it is less likely for you to cancel than it would be for someone that just finished testing out the card for the first year. If the issuer won’t offer you either a credit card rebate or points to offset your annual fee, the last option before cancelling is to ask for a product switch to a No Annual Fee Card. Most times this is possible as the issuer would rather not lose you as a customer and there is no significant cost to move you to another card within their family. What this does for you is that it preserves both the Capacity and Length of Credit categories in your credit score AND you don’t pay any fees. If you think about it, if the card has been sitting in your drawer unused, then moving to a No Annual Fee Card is a great option. Now this card can live in your drawer forever without cost. So you’ve gone through the steps above and you haven’t had any luck so the next step is to cancel the card right? WRONG. I used to work in a call centre (for 6 years) and I can unequivocally tell you that there are good customer service reps and there are terrible ones. Some are well trained and want to retain customers and some just don’t care and will cancel your card without even trying to retain you. The morale of the story here is to hang up and call again (HUCA) if you don’t get what you are looking for. My rule of thumb is to try at least 3 time before I give up. If you don’t get the offer you are looking for, simply say thank you and tell the representative that you are going to think about your options before cancelling and call again. If you intend on using the HUCA strategy, I would recommend calling back right away so that in the event that the last CSR is putting notes on the account, the next CSR may not see the notes before you call again, thus allowing you to start fresh. Another key thing to know is that many issuers will have two offers available to their CSRs. The first offer is a standard offer, the next offer is better and reserved for customers that are insistent or are really serious about cancelling. To access this offer, simply say, “thank you for your offer but it doesn’t quite make it attractive enough to stay … are you able to increase your offer at all?”. If there are indeed 2 offers, this little blurb should get you access to the better one. If not, be insistent and ask again or HUCA and try another representative. 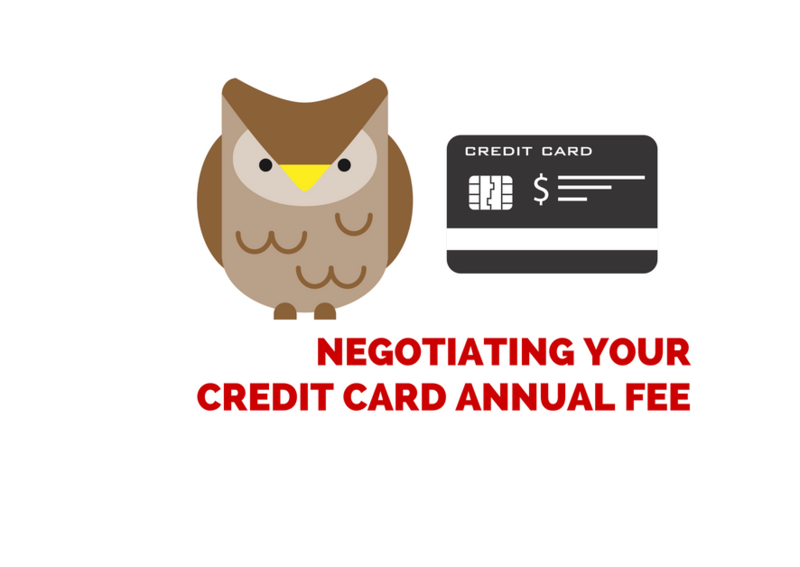 My pledge to you is to record and share every credit card annual fee negotiation so you can better understand how I implement this workflow. In fact, I have one to share but it will be tomorrow’s post so keep a look out for it. Jayce is the founder of PointsNerd and has been an avid traveler and loves to teach. He prides himself on flattening the learning curve through step-by-step guides because everyone needs to start somewhere.